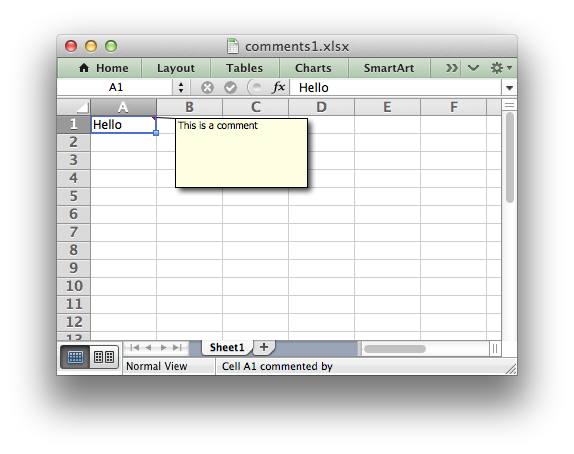 A simple example of adding cell comments to a worksheet. For more details see Working with Cell Comments. # For more advanced comment options see comments2.py.